Lost Chevy key may not be common among car owners, but its importance will be well felt if you are locked out or the car key has been misplaced. When this happens, you’ll need the expertise of professional locksmiths or dealership to get a replaceable key. This article provides comprehensive information on Dodge key replacement cost for different brands of Dodge cars, such as Dodge challenger, Dodge Durango, as well as Dodge charger. First, let’s find out the necessary things needed to get a key replacement. Dodge models are different in features and designs. The same thing is applicable to its keys. 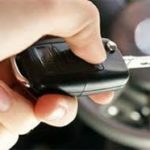 Before considering key fob replacement cost, you need to identify the model of the car as well as the year it was manufactured. This will enable the car dealer or locksmith find a suitable Dodge key replacement for your car. Most new Dodge key models are designed with transponder to make it difficult for car theft to unlock the keys. Again, you may find out that some model keys come installed with smart chip while some others don’t have this feature. If your dodge’s car key has either a chi or a transponder, you would need to look for a dodge dealer to advice you on the best Dodge key replacement for your car. But if your car doesn’t have any of these, the service of a locksmith should be enough to get you the right replacement key for the van. Remember that you don’t have to wait until your key is lost before looking for Dodge key replacement. You can decide to have an extra key in case you lock yourself out in the car. This is where a replacement or spare key will come in handy. The car’s vehicle identification n umber is another thing you need to provide when looking for Dodge key replacement. Most dealers apply security measures when giving out replacement keys to car owners. They won’t just give you keys to open the car if they have not confirmed the car actually belongs to you. Normally, they don’t need the car’s VIN to produce a replacement, but for security measures, you have to provide this information. Otherwise, it will be quite difficult to get Dodge key replacement from any dealer or locksmith. Getting this number is not quite difficult. It’s located at the dashboard, close to the driver’s side. Some other models have this number close to the side wheel of the car’s frame. Once you have provided the VIN, the year, and model of the car, a good dealer or professional locksmith should be able to provide Dodge key replacement for your car. However, there are other considerations to make if your Dodge car keys come with other additional technology. We are going to see all that below. Programming your car’s key is a recent addition to the entire process of getting a replacement key for your car. If the van’s key comes with an installed chip, it has to be programmed for verification purposes. To make this possible, an additional spare key will be needed. If you don’t have one, you will need to get it from a Dodge car dealership. A single key goes for around $200. However, you can choose to select a cheaper option, and in this case, your local locksmith should have one for you. In case your car key doesn’t have a transponder or a smart chip, contacting a locksmith is probably the best option for you. Most professional locksmiths will provide a Dodge key replacement key in quicker time frame than a dealer and they usually charge lesser. But if you are looking for a genuine replacement or and don’t want to compromise quality for anything, contacting a car dealer for your Dodge key replacement is a better option. They are also better option for those who have a car key with transponder. They are more technical with their approach as they make use of industry leading technology to craft a perfect replacement key for your Dodge car. Some car owners have probably locked their keys in their car at one time or the other. This can be very frustrating, especially if you are planning to ride out with the car. To open the door requires you to access the car’s interior. Here, you don’t have lots of options than to contact a locksmith or your car dealer. Do not risk the urge of solving the problem by yourself with a home device as you may cause more harm than good. Instead contact a dealer and wait patiently for them to use their professional hands to solve the problem for you. Standard car keys are gradually going into extinction because of the upsurge in technology and the need to improve car’s security. These days, Dodge key replacement involves not just the normal cutting and trimming of duplicate keys but a programming technology is usually involved. Those days have gone where a car owner who lost his or her key can just walk into a locksmith’s shop and obtain another replacement within few minutes. Now, more technicalities are involved. That’s why Dodge car key replacement is not as cheap as it used to be. But with the right information, you can get a great bargain. Dodge key replacement cost starts from $200 as the prices may vary depending on other factors involved. If the key contains chips or a transponder, the entire cost will be higher. The transponder provides electronic communication which can help car owners keep their cars safe and secure from theft. If you misplace the fob and car key, you will be paying around $300 for replacement. Although this may vary as the cost depends on the design of the key and the type of vehicle. If you don’t properly program your car key to fit the transponder, the car is not going to start. This is the reason why you need programming when replacing Dodge’s car key. The transponder system also has an integrated fob used for unlocking and locking the door. A locksmith or your car dealer needs to override all these and provide the matching system for the replacement key to work effectively on your car. Can I program it myself? Some individuals with some level of technical knowledge can actually program the replacement keys by themselves. This will save you some money in the long run. However, it’d important that experienced hands should handle gadgets like your car key. There are some videos and instruction on programming and Dodge key replacement, but even with all these instructions, some things might get confusing. So, it’s better to leave the job with a dealer or a professional locksmith who understands the intricacies involved in getting the perfect car key replacement for your Dodge vehicle. A standard Dodge car key doesn’t have a security feature, apart from the unique cut that makes it different from other car keys. You can trim the metal part of the key in a unique way with grooves and cuts, just like a normal house key. These simple features make it quite easy to duplicate and replace. For this type of key, a locksmith can get you a replacement within few minutes since he doesn’t require any special device to create a duplicate. They are usually cheaper than the fob replacement keys. However, modern vehicles all come with electronic fob. Your Dodge car would surely have this type of key, unless it was manufactured before 2001. If you are looking for a cheaper alternative when buying a replacement fob, another option is to get an aftermarket fob from a locksmith or online. But their quality won’t be as high as the newly manufactured ones from the car dealer. So, if you’re looking for a cheaper fob alternative, an aftermarket product is available. But if you don’t really care about price but quality, having a genuine car fob from a car dealer is the best option for you. Most new Dodge car models have a transponder chip at the top of the key. It provides signal to the ignition to determine when someone uses a wrong key to open the car. Once you insert the wrong key, the responder communicates to the ignition to refuse to start. To take care of this when proving a replacement key, a locksmith or your car dealer has to program the key to send the right signal to the ignition. They make use of specialized equipment to program the replacement that matches with the original car key. Some car keys have these fob and transponder customized into one unit. These built-in keys are more expensive to provide their replacement and they are rare to find a replacement. 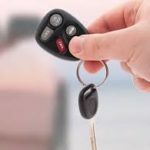 If you are the type of person who regularly loses keys, having a basic replacement key will help reduce the cost of getting a new one when you mistakenly forget your car inside the car. Since it doesn’t have a responder or a chip, it cannot start the engine. It’s only useful when you forget your key in the car and lock yourself out. With a duplicate key, you can easily open the car without worrying about the restrictions of a responder key. What is the difference between a basic key and a laser cut key? A basic key is physically different from a laser key. This is because the latter has a unique winding cut at the shank and they are slightly thicker than the former. Apart from its distinctive physical features, a laser cut replacement key needs more expensive machine than a basic car key. They are also not as common as a standard key. This means that you are not likely going to see them at every hardware or locksmith store. Laser keys require programming by a professional locksmith or dealership when seeing for a replacement key. They also have unique chips used in communicating with the ignition and other areas as well. Obviously they are more expensive than the standard keys because of their programming features. You can get a replacement laser key for about $250. Although the price may vary according to make of the Dodge car and manufacturing year. This type of key usually have an extended knob which pops out when you press a button and rolls into the key’s fob when it’s not in use. Switchable keys come in both laser and basic forms. One unique feature of this type of replaceable key is the fact that they usually sell some of its parts separately. This will be vital if you damage your key and some parts are still good. In the case, you can replace the shank and still keep the overall function of the key. But for a lost key, you will need the fob and the key. And of cause, he locksmith will add these in the overall cost of the key. You can get good switchable key replacement between $200 and $350. Again, the difference in price will depend on the model of the car and the year of manufacture. Smart technology provides more safety and security for home and car owners. Most car keys are already smart keys as the fobs are put in the chest pocket or on the dashboard. The car automatically comes to life at the press of a button. The scrolling security code of Smart keys is their main difference from other types of car keys. With the use of code grabber, it effectively prevents thieves from getting easy access to the Dodge car. This is why it is one of the most preferred forms of car replacement keys for most car owners. However, it’s more expensive to maintain and install on the car. We are sure you now have enough information on the different types of dodge key replacements and their cost. Key replacement costs may vary, depending on the type of key, the car’s model, and its manufacture year. No matter what key replacement you need, you will certainly get the best deal when you contact the right dealership.